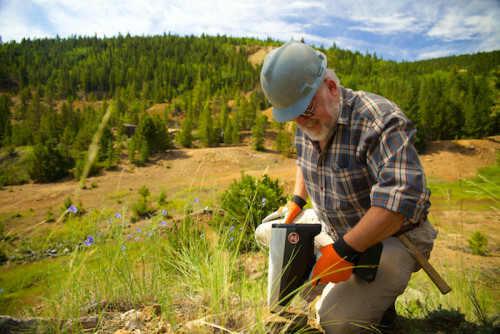 The Z-500 makes a perfect teaching, lab and field research tool. 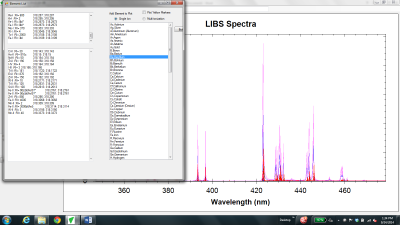 It’s foremost a high resolution, elemental spectrometer based on LIBS technology. Included is our intuitive DATA method generating and spectral analysis package, allowing for peak finding for elements, spectral overlays and a host of other analysis tools. The Z handheld LIBZ is perfect for the lab, the classroom and the field. 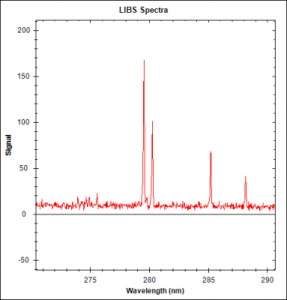 The Z is based on a well-established technology called laser induced breakdown spectroscopy (LIBS). LIBS has been in use for more than 20 years as a benchtop and laboratory technique. SciAps has brought the technical expertise to miniaturize LIBS technology — what we call LIBZ — as well as decades of market knowledge and an unwavering dedication to customer support. The result is a portable, rugged, incredibly easy to use analyzer with so many advantages over older technologies. The Z uses an eye-safe laser. It’s Class 1M rated and thus completely safe for student use or other operators in any environment. The Z uses a proprietary spectrometer design (patent pending) to achieve up to 4X better resolution than commercially available spectrometers. Shown at right are the main Mg lines easily resolved at 179.6 nm and 280.3 nm, respectively. 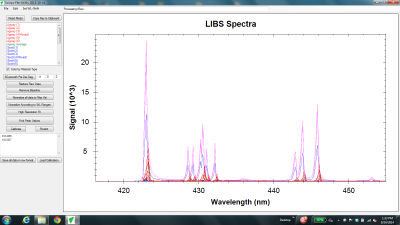 The spectrometer resolution is < 0.1 nm (FWHM). 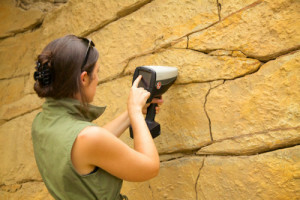 The Z is more than just a handheld spectrometer. It also offers full calibration and method development software. Run it on a PC, a laptop or a tablet. 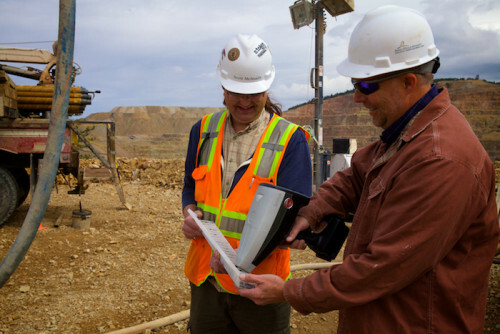 Locate elemental lines after testing samples, calculates intensities and intensity ratios, performs spectral overlays, baseline subtractions and smoothing. Also generate calibration methods using reference samples with known assays. 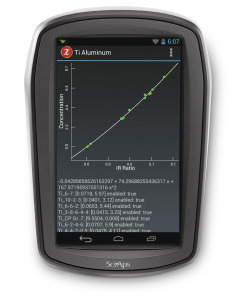 The Z offers on-board or on the Tablet/PC capability for polynomial calibration fits. Google-Powered! 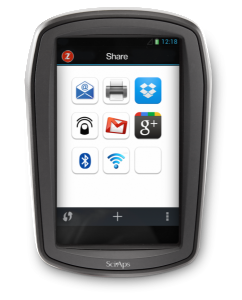 The Z is built on the Android Platform to defy obsolescence and provide easy report generation and data management. Tap the SHARE icon and instantly print a test report. Or send it to your cell phone via the on-board wireless and email the data anywhere in the world. The Z is Wireless, Bluetooth and GPS enabled, and Android delivers easy connectivity to any device – phone, tablet, PC, server. For more information on The Z Lab & Field Studies please visit our Knowledge Center.